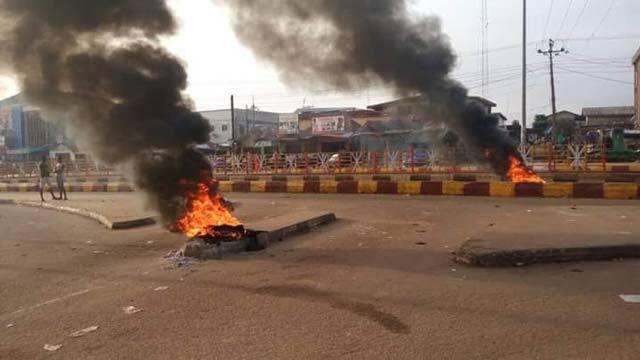 Worried about what it described as illegal and unconstitutional arrest of 21 indigenes of Ile-Ife, Osun State over the recent clash between the community and the Hausa, Yoruba socio-cultural group, Afenifere has vowed to intervene in the issue. Afenifere said: “Our legal team will challenge this subversion of due process while pressure continues on why two tribes involved in a fight and only members of one community were indicted by the police whose leadership is of the same ethnic with the other party in the conflict. Also, the Oodua People’s Congress (OPC) has condemned the arrest of 21 indigenes of the town and the outcome of police investigation on the incident. The group’s position was made known yesterday by its National Coordinator, Otunba Gani Adams. Adams, while urging peaceful resolution of the issue, asked, “how come the people and residents of Ife are the ones who were being paraded as the masterminds of the violence. Who set more than 40 houses of Yorubas on fire in Ife? Why were the police and military quick to sweep into action and make several arrests when other places where many were killed in the past? Meanwhile, a former Deputy Governor of Osun State, Senator Iyiola Omisore has pledged assistance to victims of the crisis. Omisore spoke yesterday during a visit to those affected by the violence in the ancient town. Oba Idowu Adediwura, the Obalufe of Ife Kingdom and second-in-command to Ooni of Ife, Oba Adeyeye Ogunwusi, commended Omisore for the good gesture to his people. That’s a welcome development. Dambazau, curiously didn’t visit Southern Kaduna, neither did Kwankwaso. They haven’t visited Zaki Biam nor any other places where the aggressors were Hausa Fulani while the victims were not. So, the only reason why the interest of the authorities is heightened is because more Hausa were killed, which, even though unfortunate, raise more questions than answers. Is it now oduduwas realise the Arewas own nigeria and the yorubas. The yorubas made arewa what they are today by fighting their civil war for them and making them invicinble in nigeria power game. They have no reason to complain or assemble all lawyers in yoruba land because Arewa will still do what they want with those captured Ile Ife miscreats including their Oba. Yoruba has no right to enforce under one entity with the north- north present action against Yoruba is a symbol. It is either Yoruba fight their entity in which they have democratic capacity like Igbos of Republic Of Biafa or remain enslaved by the north and conquered.